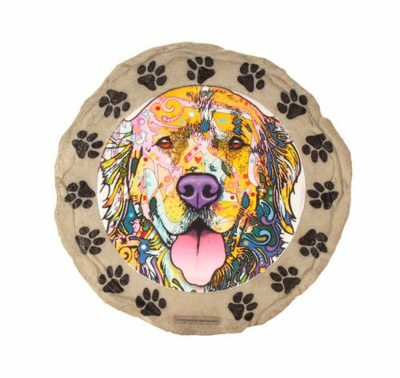 These bright and colorful Golden Retriever stepping stones will be sure to put a smile on your face! 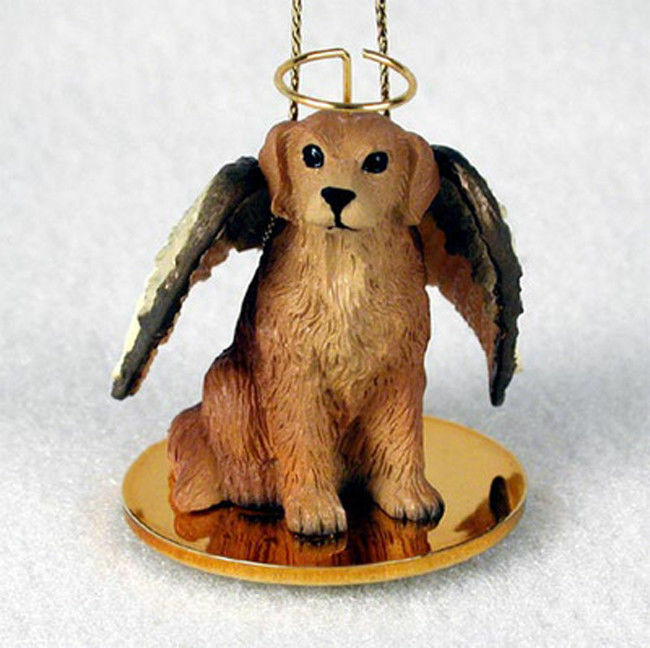 Use them as a dog memorial or grave marker to remember the loss of your beloved pet. 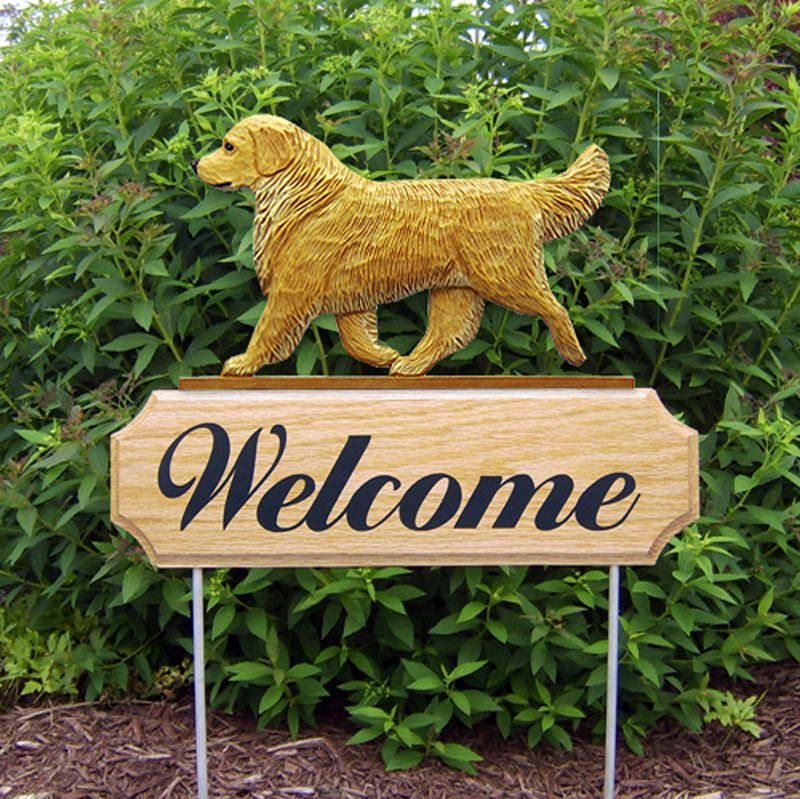 Or you can display the stepping stone anywhere in your yard to show the love you have for your dog. 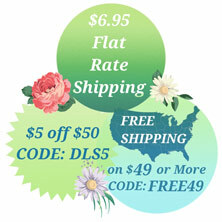 These stepping stones are made of a heavy duty resin and weigh approximately 2 pounds and 10 ounces. Weatherproof sealing allows for long lasting outdoor use in the garden, along your walkway, or by the front door. 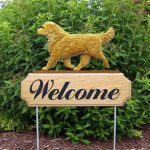 The beauty of these stepping stones is that they can also be used as a plaque for inside the home. 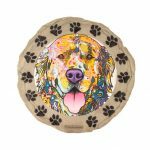 Each stepping stone is decorated with black paws around the outer edge with a fun and colorful dog illustration in the center. Each measures 9.5 inches across and 1/2 inch thick.